8.6" x 9.0" stitched on 14 count. 6.7" x 7.0" stitched on 18 count. 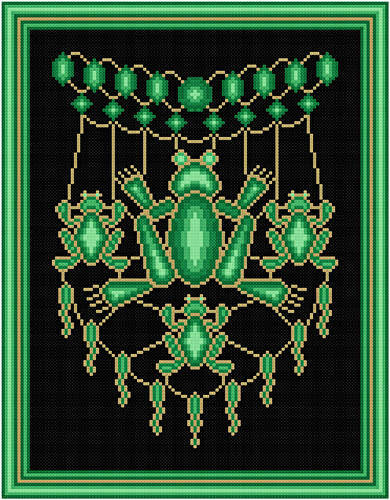 Jeweled Frogs cross stitch pattern... Frogs created by green emeralds are featured in this design for frog lovers. Gold metallic threads form the attachments. The design is striking on black fabric. Whole stitches are used.